Do you feeling getting out of the hustle and bustle of the City and stretching your legs, breathing fresh air and enjoying great food and views ? 10:00 Meet at the Hare Krishna Temple close to Bhudanilkantha. 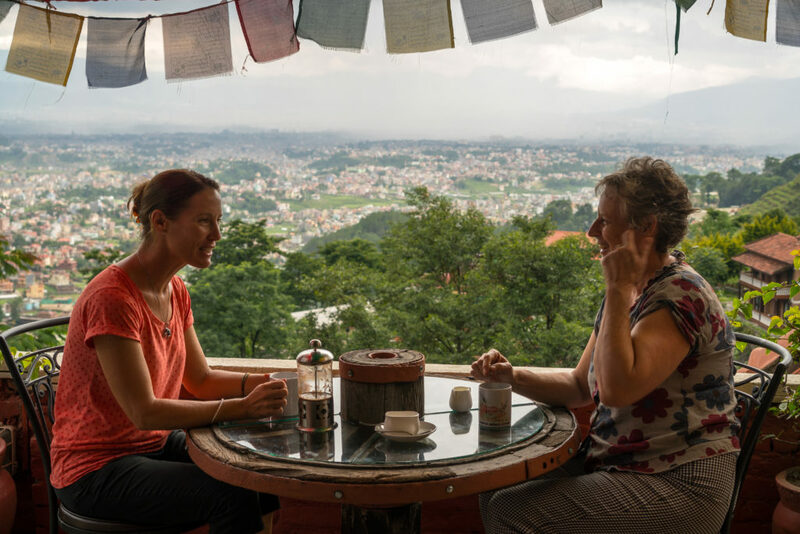 Hike for 30-45 mins to the Namkha Monastery. 11:30 Hike through fields and villages to the Shivapuri Heights Cottage. Rs 2500.00 per person. A minimum of 2 persons are required. Advance booking essential. Transport available on request at extra cost.